Nestled on the west bank of the Hudson River, the Albany real estate market is making a comeback. The Albany, NY housing market took a step in the right direction last year following a tumultuous year in 2014, as it achieved its best year for home sales since before the recession hit. A combination of low inventory, a decline in unemployment and an expanding economy is expected to further enhance the Albany housing market in 2016. While home appreciation in the Albany, NY housing market continues to rise from a year ago, price growth remains slow. The Albany real estate market is currently exhibiting a one-year appreciation rate of 1.7 percent, compared to the national average of 6.1 percent. 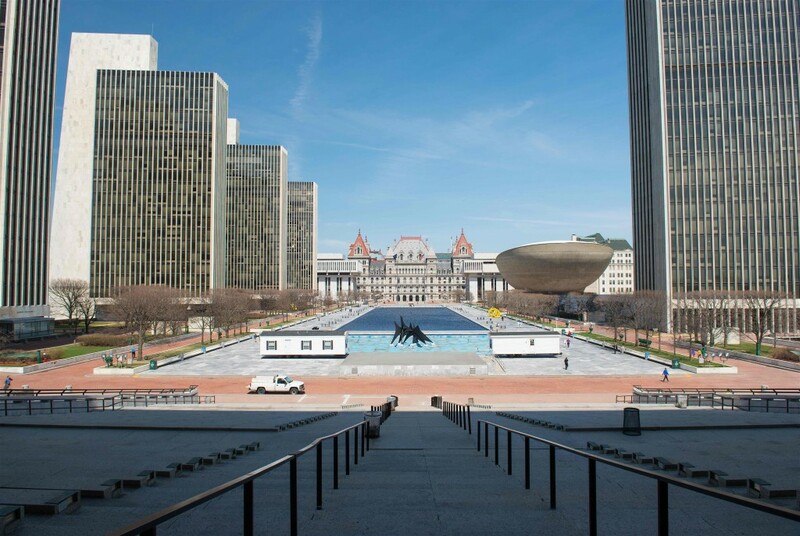 Additionally, over a three-year period, the rate of appreciation in Albany fell to -0.6 percent, compared to the national average of 22.6 percent. However, homeowners in the area who have paid down their principle have seen equity return to their properties. Homes purchased in the Albany housing market one year ago have appreciated, on average, by $7,587. The national average was $16,784 over the same period. Homes purchased in the Albany housing market three years ago have appreciated, on average, by $10,984. The national average was $52,129 over the same period. Homes purchased in the Albany housing market five years ago have appreciated, on average, by $21,465. The national average was $62,764 over the same period. Homes purchased in the Albany housing market seven years ago have appreciated, on average, by $27,594. The national average was $52,606 over the same period. Homes purchased in the Albany housing market nine years ago have appreciated, on average, by $28,341. The national average increased $16,571 over the same period. The first quarter of 2016 has been solid for the Albany real estate market. Record-low mortgage rates continue to make the housing market in Albany appealing for homebuyers, as mortgage rates for a 30-year fixed-rate loan fell from 3.9 percent in the fourth quarter of 2015 to 3.7 percent in Q1 2016. Rates are expected to remain low for the duration of the year. In terms of economy, Albany is continuing to improve like other cities around the country, as employment rates remain unchanged from a year ago. On the flip side, unemployment rates are on the verge of falling. Along with the encouraging job market, another factor benefiting the real estate market is affordability. Albany has historically been one of the more affordable markets in the United States, and the first quarter of 2016 continues that path. The monthly mortgage payment to income ration in 2016 Q1 was 8.0 percent, 0.7 percent lower than 2015, compared to the national average of 15.6 percent. In addition, the price-to-income ratio in Albany, NY — which has historically been low compared to most markets — is now at 1.3, compared to the national average of 2.6. Albany also remains a hotbed for new construction, as the current construction level is 57.5 percent above the long-term average. New construction for single-family housing permits was 35.7 percent, compared to the national average of 11.3 percent. Moving forward, the Albany real estate market is anticipated to continue its slow return in the second quarter of 2016. The National Association of Realtors has forecasted price expectations for the next 12 month, with predictions showing weaker price growth in Albany, NY. Real estate home prices in Albany are expected to remain unchanged from the previous year at 3.1 percent, slightly below from the national average of 3.8 percent. The Albany real estate market remains lucrative for investors, particularly house flipping and rental properties.